As enterprises adopt cloud services, hardware vendors are fighting back with long-term payment plans that avoid capital outlay. 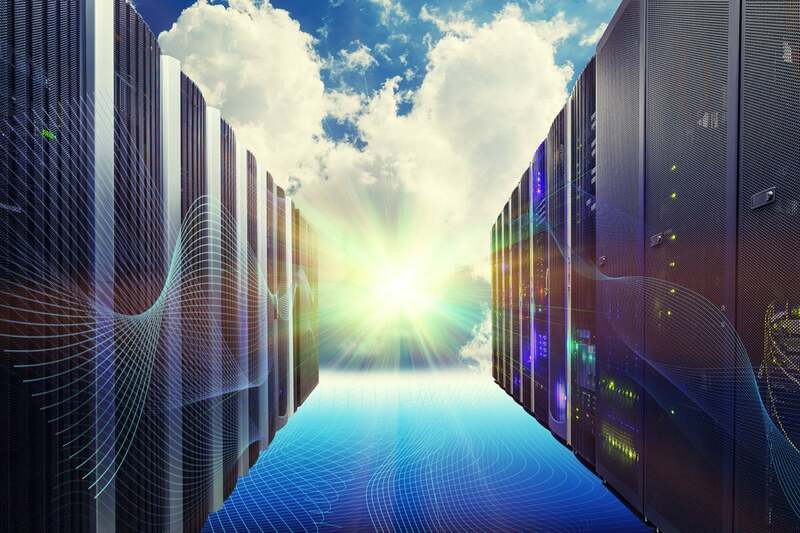 For some time now, server unit sales have been steadily dropping for the major x86 server vendors as enterprises draw down their on-premises hardware in favor of cloud services. The response from the hardware vendors is if you can’t beat 'em, clone 'em. Vendors are adopting a pay-as-you-go model not unlike that of a cloud provider, where you pay for how much compute time you use and hand back the hardware when you are done rather than buying it outright. Most of the major vendors have some kind of plan. HPE has Flexible IT Capacity, plus it has the OpenStack Private Cloud offering in conjunction with Rackspace and it just launched GreenLake, which bundles software packages like Big Data, SAP HANA and edge computing. Dell EMC’s program is called CloudFlex. Cisco’s is called Cloud Pay. Lenovo is the only major x86 server OEM without a program. Vendors like to call it flexible consumption, which includes hardware, software and services. All the plans operate roughly the same way: you sign a contract for a set length of time but rather than pay everything up front, you make set monthly payments. Tacked on to the monthly fee is compute time, which is metered. After the initial period, usually one or two years, you can return the equipment or keep it and payments go down as the hardware ages. “Increasingly, what we are seeing associated with the flexibility of public cloud is customers coming to us saying they want flexibility around paying for what they consume,” said Sven Jirgal, vice president of worldwide sales and field marketing at Cisco Capital. He says the plan is popular with seasonal businesses such as retail that need on-premises infrastructure to meet peak demand, but only pay for capacity actually used, he said. Pay-per-use makes sense to customers that want server use handled as an operational rather than a capital expense, said Mike Schaub, global account manager for HighPoint Technology, a Dell EMC reseller. “Usage-based technology allows customers to truly run that system as an operational expense and enjoy the tax benefits of doing so. Additionally, customers might not have the budget, for example, for more space on their disk backup. Acquiring the technology as an operational expense allows them to get the additional capacity without the budget constraints,” he said. For many customers who are just starting to use cloud services, these plans offer a means for making a graceful transition. “Customers want the flexibility to start with a certain capacity and scale as needed,” Schaub said. The success of public cloud services is forcing the hand of vendors to compete by addressing some of the shortcomings of cloud. The real cost of the cloud is not the workload, but moving around data, he said. Cloud providers like Amazon and Microsoft charge you for data sent up to their data center, storage, processing, and data sent back down to you. Do that with a multi-petabyte database and those cloud savings suddenly evaporate. As customers consider adding more workloads such as analytic they are rethinking their IT strategy, Stevens said. Burst capacity, one of the primary appeals of the cloud, is more common with things like DevOps than traditional workloads, and that is still a fairly small part of the overall workload of Dell customers, according to Chad Dunn, vice president of product management and marketing at Dell EMC. “When I talk to customers, one question I ask is what percentage of workloads are cloud-native today. You usually get a lot of shoulders shrugging. Usually the answer that comes back is 1 percent. So I ask where it will be in five years; they say we have no idea at all,” he said. At this point you see more activity in the cloud with companies born in the cloud and with service providers, said Dunn. “We expect we’ll see more and more of it, and for now it’s a case of, ‘How do I reconcile traditional workloads with cloud-native?’ People are not going to refactor traditional apps to be cloud native. There’s no point. But it’s the brand new things you are developing that go into the cloud,” he said. It’s hard to get a measure of potential dollar savings because there are so many variables. Stevens estimates that customers can deploy up to four times the capacity on premises using flex pay than they could in a cloud environment at the same price. Not having to pay up-front capital costs is a big factor. Flex pay is similar to a lease but can come out cheaper. Schaub said one customer recently chose a pay-per-use flex solution at $8,000 per month over a leasing option at $10,000. It’s also economic over time since the prices fall as the years go on. “For any customer looking beyond years two through five, those customers will see good savings. For customers who want it for a year and then get out, it’s not worth it,” he said. Dell’s pitch is one of no commitment, said Dunn. There’s a 12- to 24-month commitment, but after that, the commitment ends and the payments go down or stop at any time. “You’re not on the hook for a full five-year or seven-year lease and there is no big up-front payment,” he said. Flex pay favors large-scale deployments because it eliminates the massive up-front payment that an outright purchase would require. If you want to start a small infrastructure and grow it, you might not use this model, he said. It also depends on how certain customers are about their specific near-term needs, said Jirgal. “Customers with absolute certainty over what they need over the next five years are best served by acquisition outright. But a customer with uncertainty what their servers will look like, on-prem or in the cloud, will go for a more flexible models,” he said. Hybrid cloud, then, is prompting vendors and customers to discuss requirements for workloads and what the associated payment profile looks like, said Jirgal. “Yes, we’ve been talking about TCO and ROI and tech obsolescence, but with cloud all of our customers are really integrating that tech and econonomics discussion into one a lot more than that was the case before,” he said. Dunn said the flex model is not set in stone and still subject to tweaking, especially for vertical markets. “Once we have the intelligence in the platforms to do automation, we will get more sophisticated in what we meter and how we meter and what people choose to pay for. This will be underlying IaaS and PaaS and containers as a service with Kubernetes,” he said. Jirgal said Cisco is doing the same thing as it adjusts for vertical industries and use cases. Stevens said his firm just got back the results of a customer-adoption study where the company asked about interest in consumption-based pricing. He said there was a great deal of interest as people look at where they place their workloads, in the cloud or on-premises. “I’m not going to say that I think flex pay will unseat the public cloud or take over data center world. It is another architecture option that IT has in their kit of things to acquire. So it’s not one or the other it’s a complement hitting a lot of the pain points,” he said. This story, "Server vendors push flex pricing to challenge cloud providers" was originally published by Network World.